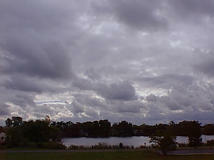 Thick (opaque) stratocumulus clouds over a small lake in central Michigan. While it is difficult to determine cloud cover without a view straight up in a case like this, it appears to be an overcast cloud field. Photo by the class of Margaret Holtschlag. 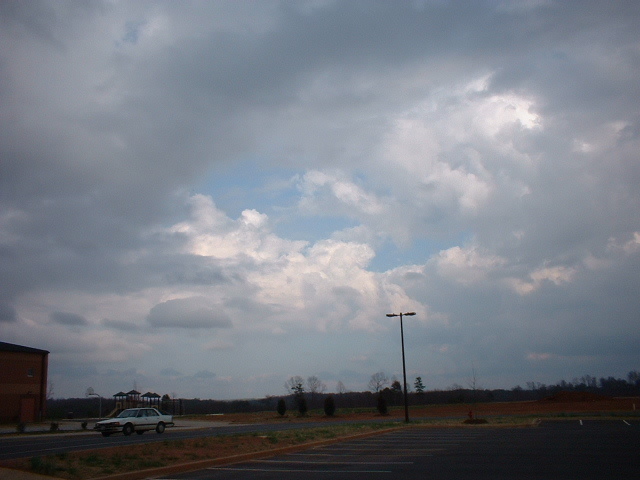 Generally translucent stratocumulus clouds. Mostly cloudy to overcast cloud cover. Photo by Kevin Larman. This photo is from January 28th, 2002 in South Carolina. These are fairly opaque clouds, but with evidence of vertical development. This suggests a fairly moist atmosphere. Photo by Ed Donovan of Berry Shoals Intermediate School. 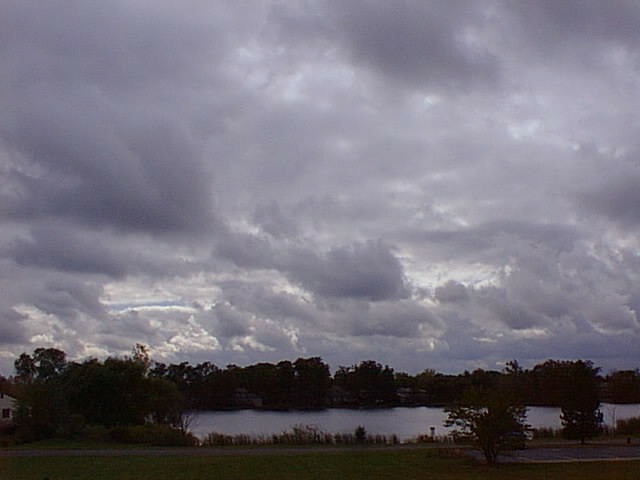 This is a good shot of very opaque (note the gray) and mostly cloudy stratocumulus. 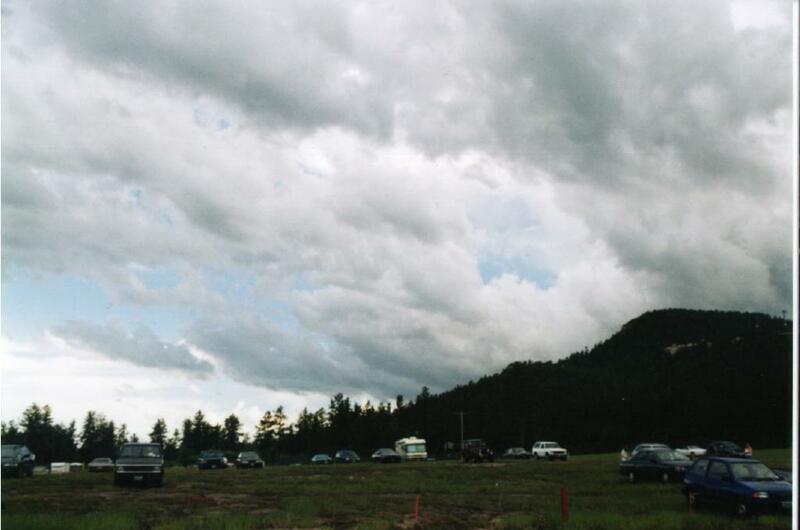 Notice how the cloud bases are all about the same height. 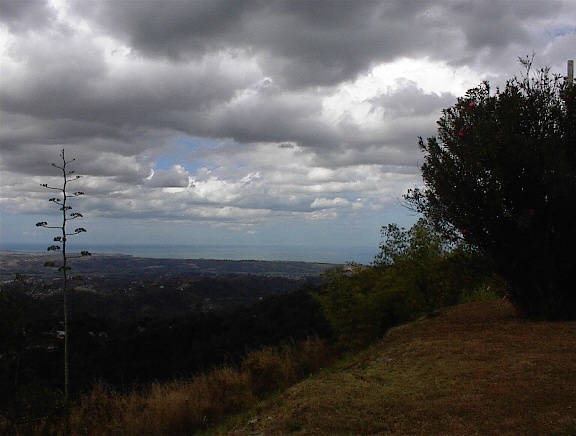 Photo taken by Doug Stoddard in March 2002, in St. Thomas.